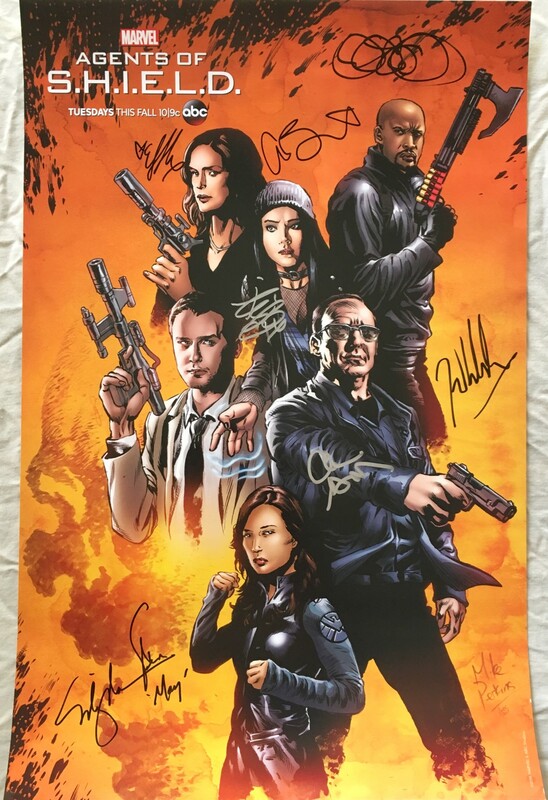 13 by 20 Marvel Agents of SHIELD poster autographed in silver by stars Clark Gregg, Ming-Na Wen, Chloe Bennet, Iain De Caestecker, Elizabeth Henstridge and Henry Simmons, plus writer Jed Whedon for a total of 7 autographs. 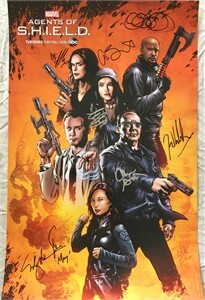 Obtained in person at 2016 San Diego Comic-Con, with photo from the signing and certificate of authenticity from AutographsForSale.com. ONLY 2 AVAILABLE FOR SALE.